Italy has its Colosseum. Cambodia has its Angkor Wat. And South America has its Machu Picchu. They are all the ruined monuments of empire. Vines grow through the masonry joints and small birds build their twiggy nests where windows used to be. 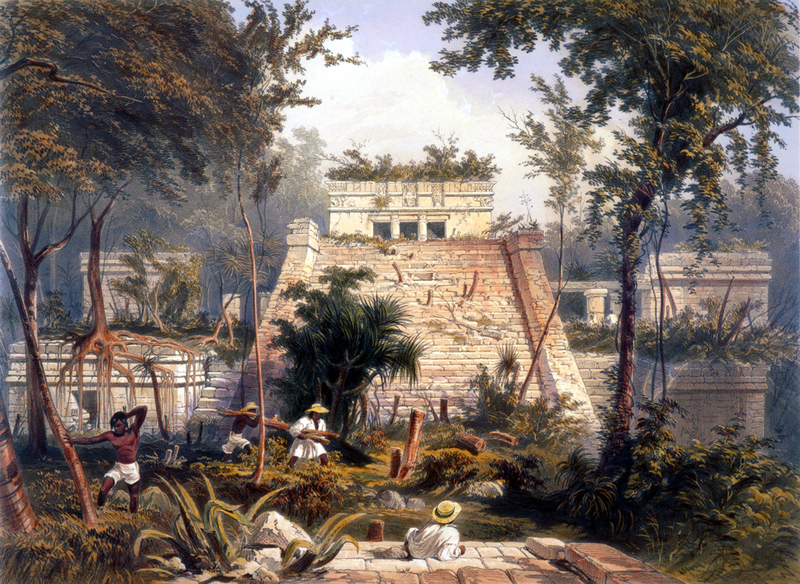 As Stephens and Catherwood found in the Yucatan, nature takes back what we borrow. Our cities crumble and trees clothe everything once again in general greenness. 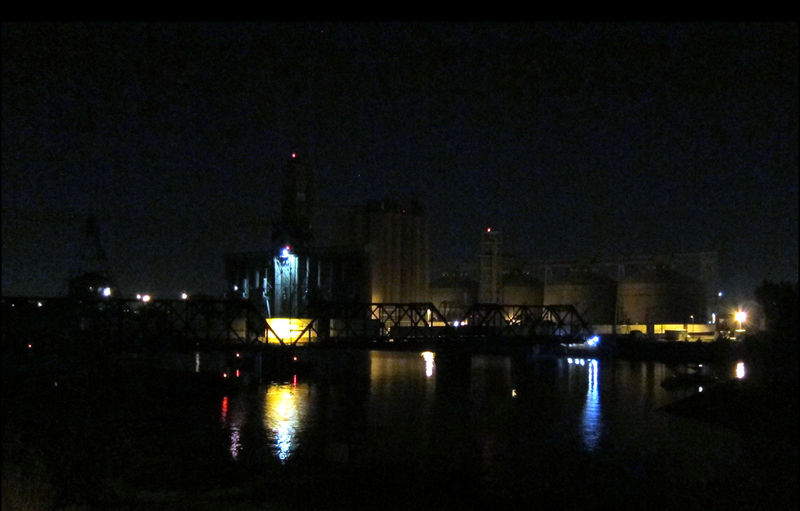 You can see the process in action from your railroad coach window, as the train passes through Toledo, Ohio, at three in the morning. All across the southern rim of Lake Erie, factories made of brick under the harsh midnight illumination of security lights begin to metamorphose back into clay soil. The train moves slowly through the back lots of rust-belt cities, where the tracks themselves groan and rattle under the weight of the bogeys, and the whole urban backstage is like the rough inside of a carnival mask. From the streets along the refurbished waterfront, the city looks shiny and prosperous. It is the face the town fathers want to show. 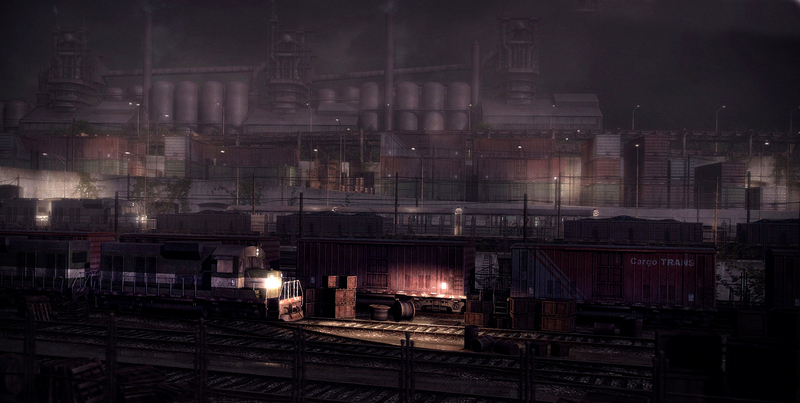 But from the rails, the potemkin city is revealed in its rich, resonant decay. It is the same in all municipalities, from Trenton to L.A. The tracks take us to our ruined monuments and we can see the picturesque disintegration of our urban ambitions. I have always found these scenes seductive. It is why I have always loved to ride the trains. It is the same thrill the theatergoer gets when allowed to wander backstage through the flies and backdrops. A bit of the mystery is explained but a greater mystery fills its place. I have been awake all night, the passing lights flashing briefly through the window. In each Toledo or Syracuse, N.Y., we pass, the train rolls through the back yards of the inner city and shows us the unhinged screen doors, jacked-up Fords and abandoned barbecue grills. Once in a great while a kitchen light is on and you can see a man rummaging for a midnight snack in his refrigerator. It is 3 a.m., and the Southern Crescent is pulling into Greensboro; the Twentieth Century Limited into Erie; the Empire Builder into Minneapolis; or the Sunset Limited into New Orleans. The train crawls into the station past the lowered crossing gate with its flashing lights and clanging bells. Behind it wait the one or two trucks working at this hour. A squeal of airbrakes and the shush of escaping air and the train comes to a halt. The passengers step off the stairway at the end of the coach, hanging on the thin metal rod that counts as a handrail, looking for the relatives who have awakened in the middle of the night to meet them. While we wait, the brakemen walk back and forth under the passenger windows checking the journal boxes with their flashlights. Then the car jerks forward with a rattle and the train picks up speed. Out my window, I see a junk yard surrounded with a tornado fence topped with coils of barbed wire. It is followed by an empty five-story brick factory. A thousand windows face the tracks and not one has an unbroken pane of glass; what is left is a tracery of empty mullions. The roof has partially collapsed and what was once a loading dock is now a tangle of wire, iron and tatters of tarpaper. It is a world of oily soot collected as a film on steel I-beams, a world of concrete rubble and red bricks turning back to powder. What is garish in the electric light disappears in the inky black and the clack of the rails rises by a tone and opens wide as the train begins to cross a bridge. 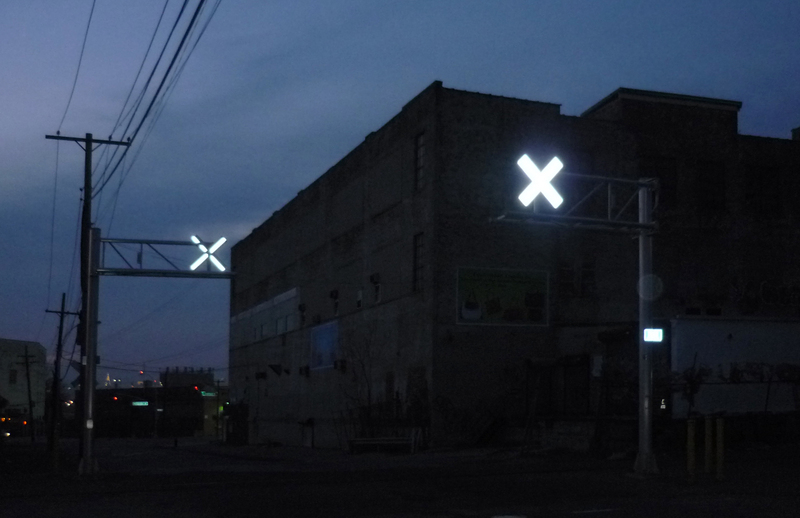 On the other side, the train leaves the city, entering the suburbs that are unlit and fast asleep. Up front, the airhorn sounds its warning and the slow burn of sunrise is faint behind us. At one point, we pass our companion train, headed in the other direction toward the sunrise from which we came. The two trains slow as they pass each other in a kind of railroad pasodoble, and I can see dimly into the passing coaches. Most passengers are sleeping, their heads drooped back and their mouths hanging wide. But every so often you see another face looking back at you. 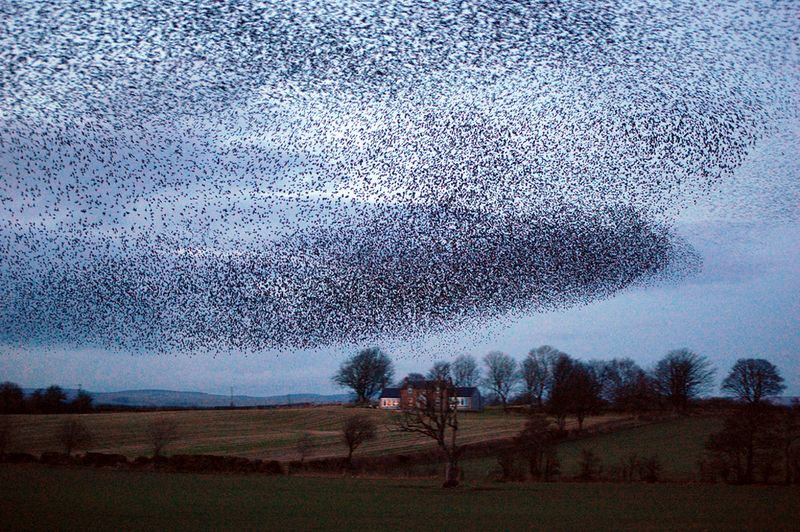 A rising cloud of blackbirds rotates into the air, roused by the train. As we pass, they settle again into the bare winter trees. Who can sleep in such poetry.